Are you search of the sacred Lake trek and the gorgeous Himalayas along with the green lush forest? If so Bharal Adventure Pvt. 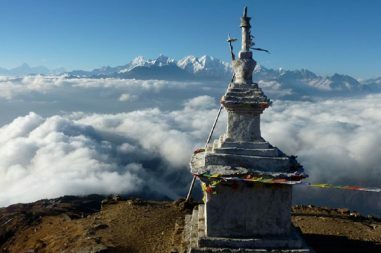 Ltd has offered the Langtang Gosainkunda Helambu Trek package for such desire. 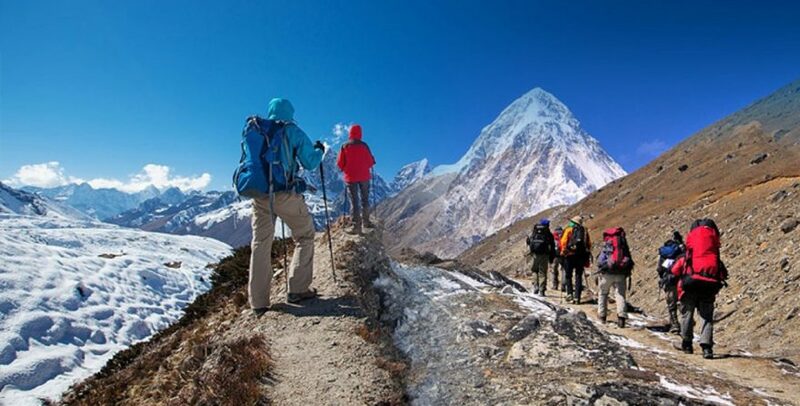 An interesting trip designed for people with moderate physical fitness, the Langtang Gosainkunda and Helambu Trek is a mixture of what you would call trek along the natural, cultural and spiritual sites in the Langtang region. 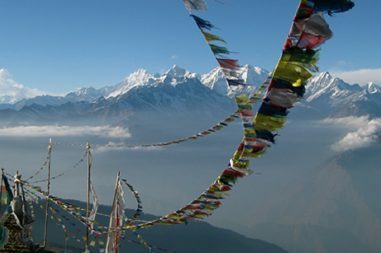 The place is second to the Annapurna Base Camp Trekking for the diversified trekking destination. This trek offers you an excellent opportunity to discover and explore the affluent Tibetan culture. Rich Sherpa culture as you follow the trail passing through the numerous Sherpa villages in the valley. The lushness of the forest and the grandeur of the Himalayas will always be accompanying you never letting you get bored for even a minute. The Gosainkunda Lake is the holy lake of Nepal as it resembles the Lord Shiva’s pain reliever. The myth behind the Lake formation is that during the time of the ocean mining for the best things poison too excavated. The poison was about to engulf whole mankind and in order to save the world, he drank all the poison. In order to reduce the pain, he threw his Trishul on the rocks of Gosainkunda. Gosainkunda Lake as you climb the elevation of 4,460m/14,632 ft makes you forget all the exhaustion of the climb. You will explore Shin Gomba and Kyanjin Gompa. In addition, trek through the beautiful Sherpa village in Helambu gives you a cultural and spiritual experience of Tibetan and Sherpa culture. This seventeen days expedition begins with an exploration of the cultural, spiritual and historical sites in Kathmandu. Than followed by a drive to Syabrubesi from where the actual trek begins. Book the amazing Langtang Gosainkunda Helambu Trek with the experienced team of Bharal Adventure Pvt. Ltd.
We will provide you 3-star hotel in Kathmandu and teahouses during the trek. All accommodations are on twin-shared basis. Single supplement will be served on request and will cost an additional 215 USD. Bharal Adventure will arrange rooms with attached washrooms; however, teahouses in some places only have shared washing and toilet facilities. Also note that single rooms are readily available in Kathmandu and the trekking regions at lower elevation but it might be difficult to find them at higher elevations. 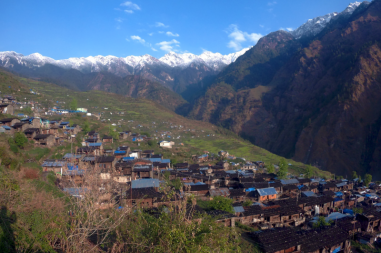 The Langtang Region is stunningly beautiful, but equally fragile. Future generations have just as much of a right to appreciate it as we do and so the tourism industry has an obligation to protect and preserve it. We employ a 'zero impact' policy on the natural environment and the traditional communities that live there. We enforce a number of do's and don'ts, and our experienced staffs can advise you on how to minimize your impact. It is a condition upon joining any of Bharla Adventure's trips that all clients be insured for comprehensive expenses that might incur due to medical issues or accidents (this includes air ambulance, helicopter rescue, and treatment costs). Please note that we don't arrange or sell insurance. All of Bharla Adventure’s treks are planned with high degree of awareness of AMS (Acute Mountain Sickness). Going up at higher altitude too fast causes a medical condition serious enough to kill. We understand that for a safe trek, it is essential to allow sufficient time for acclimatization. Sensible planning is therefore required to minimize the risk of AMS. For the Langtang, Gosaikunda and Helambu Trek, gaining altitude at a steady pace, spending an extra day in Kyanjin Gompa, climbing Tserko Ri and crossing Laurebina Pass will help us acclimatize better to the high altitude weather. However, it is important to remember that some visitors are more vulnerable than others. Langtang, Gosaikunda and Helambu Trek is a moderate trek suitable for passionate walkers who can walk for around 5-7 hours a day with a light day pack. Walking in higher altitudes is more physically demanding than walking in lower altitudes; however, if we are in excellent health with average physical fitness and have a positive attitude, self-confidence and strong determination, we can accomplish this trek successfully. Exercising and jogging regularly for a few weeks prior to the trip is a good idea to enhance our strength and stability. Past hiking experience would be an asset but no technical skill is required for this trip. It is vital for participants with pre-existing medical conditions such as heart, lung, and blood diseases to consult their doctor before taking the trip. It is also advised that you inform Bharla Adventure about your medical condition before booking the trek. This list is a guideline to help you pack for your adventure. Also understand that the items listed below will vary a little according to the season and the trek duration. Those items marked by an asterisk are provided by Bharl Adventure inclusive in the service. The weight limit for your luggage is 33 pounds or 15 kg. Remember that your luggage will be carried by your porter but you are required to carry a day-pack (with your valuables or anything important) on your own. We also suggest that you pack only what is necessary. A representative of Bharal Adventure will pick you up at the airport and take you to the hotel where you could rest. Welcome dinner will be organized to familiarize you with typical Nepalese cuisine. A quick breakfast will be followed by a guided tour to four of the most famous UNESCO World Heritage sites in Kathmandu that are Kathmandu Durbar Square, the sacred Hindu temple of Pashupatinath, the famous ‘Monkey Temple’ (Swayambhunath) and Buddhist shrine (Bouddhanath), which is also one of the largest stupas in the world. The equipments will be checked by the trek leader at noon followed by an interaction between the fellow participants and team leader. You could either of the two wonderful viewpoints Kyanjin Ri (4,800m/15,748 ft) and Tserko Ri (5,000m/16,404ft) in the area among which the latter offers spectacular view of the Langtang Lirung, Langtang range, Kinshung, Yansa Tsenji and the foot of the huge Lirung Glacier if you climb up after breakfast. As we return back, lunch will be served followed by a short rest and walk around the Kyanjin valley. We retrace our steps back to Lama Hotel along the downhill journey enjoying the fascinating views the Himalayas towering around the forests and rocky terrain. We will walk back slowly taking more time enjoying the view around us. We follow the trail descending to the river after which we cross it to ascend back to Thulo Syabru passing through pine and juniper forests with view of Langtang Himal and many others in the backdrop. A broad trail climbing up to Dimsa village will be taken which continues through rhododendron, hemlock and oak forests less steeply until it reaches Shin Gomba, a place famous for cheese. The trek will be accompanied with magnificent views of Langtang Himal and Langtang Valley. Ascending smoothly through the rhododendron covered top and dense forest, the trail reaches the area in-between Shin Gomba and Laurebina Yak which is a sanctuary for the red panda (referred to by Nepalese as cat bear). From here, return to the ridge path is made from where climbing a wider route through alpine country, we arrive at Gosainkunda where the remaining part of the day is spent exploring around the lake. A bit challenging day of the trek, on this day, we climb the trail along rough terrain and moraines passing three small lakes, ascending up across Laurebina-La (4,609m/15,121 ft) then taking the path down to Phedi and continuing the walk up and down throughout across a rocky hill with pine and rhododendron tress until we reach Gopte. Sliding down through a forested area and climbing a dry riverbed, we arrive at a Kharka surrounded by rhododendron forest. Climbing through the forest will take us to the village of Thare Pati from where we climb the ridge directly above the village entering into a forested area and descending to Melamchi River gradually making a climb to the Melamchigaon. Entering a cultural destination known as Helambu Region, we walk up to Tarke Gyang where you can explore Sherpa culture and observe traditional village and monasteries. The stone houses in the village are close together with only narrow alleyways separating them.